One of the last Friday morning swims of the season right here. Truth be told, in many senses I’m feeling excited to hibernate for a little while. But I know that come November-June I will miss Friday morning swims dearly. Oh blog. I’m sorry for neglecting you! But with all of this swimming, biking, and running, just about the only other things I’m doing are eating and sleeping. Seriously. There’s a lot of eating happening around these parts these days. More to come on that. The short of it is that I had fun (yay! ), didn’t do as well as I would have liked (boo), but didn’t really expect to do any better than I did given the fact that my weekly mileage is still pathetic (meh). I will say that the Rock n Roll race series is a well oiled machine. One of the best parts of this day was the ease in which I could show up at the start (1 mile warm up jog) and how quickly I was able to get home and in the shower on the bike (1 mile ride in the car). I have my first 100 mile ride coming up. My longest distance to date is about 86 I think, so this will be a good chunk longer. All should go well as long as the weather holds out. If I have to do my first century in the rain I’m going to be a sad (and very muddy, drenched, and soggy) girl. I’m back in the pool. With my swimming freak out prior to Boise I spend all my spare seconds in the lake trying to adjust. Thankfully it worked and I survived the Boise washing machine swim, but getting back to the pool has been a bit challenging. My form is all off and the black line seems so boring after dodging boats and swooping waterfoul! I’m still swimming in open water once a week but all other sessions are in the pool and include drills, sets, and an organized workout. I’m having a love/hate relationship with this because as much as I like seeing the progress that I can make in the pool I still hate going there. 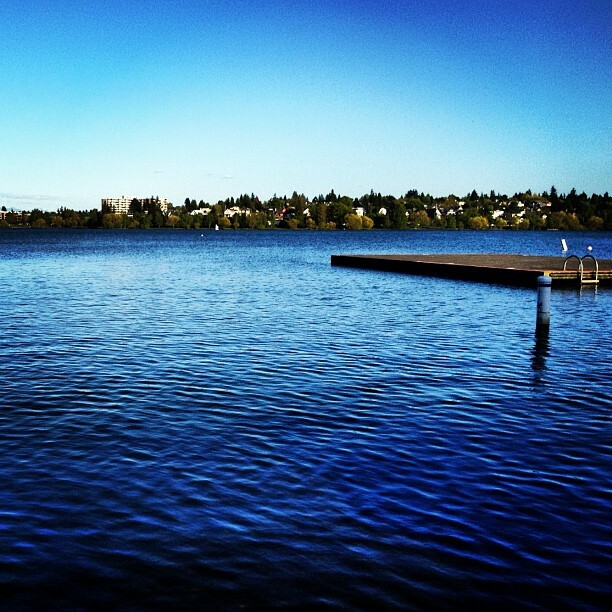 I officially added Lake Stevens 70.3 to my calendar. Yep, that’s in 2 weeks and 3 days. Eeek! I didn’t register for Ironman Couer d’Alene. Stalking people on race day was an inspiring as ever, and I truly thought that I wanted to do this race next year. The only downside to Canada is that it’s at the end of the summer, and while that leaves nice weather and hours of sunshine for training it also leaves you with a summer full of training. I thought I might like to do CDA to leave myself a summer next year to race for fun without the pressure of training schedules or risk of injury. 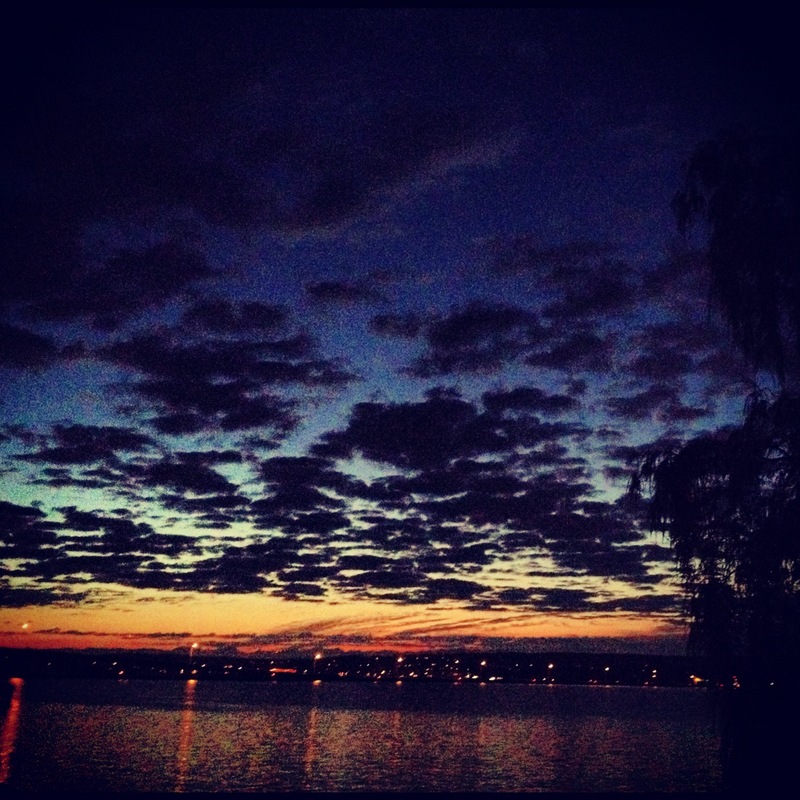 After a talk with Coach – and a long one with myself – I decided that CDA isn’t for me yet. The Rock n Roll Half was a good reminder that I don’t like racing as much when I’m not race-ready, so I stepped away from http://www.ironmancda.com and didn’t click ‘register’. Good job, self. We got a new sherpa. No, Garth is still the official sherpa of my race schedule. But we got a new car! We traded our 2001 Jeep Liberty for a 2012 Jeep Liberty, and it’s really pretty and my bike fits inside. And everything works. And it’s pretty. There aren’t many swim, bike, run, or eat stories that stand out in my mind other than that. So what’s new with you? This installment of Friday Cry Day is for Daily Sweat, who I have officially now met in person! We went swimming this morning. It was horrendously cold. I let the coldness take over at the start and my lungs are still frozen. 😦 But Megan was super tough, shrugged off the coldness, and made a new friend (in addition to me)! It was approximately 500x less terrible than I had gotten worked up about. The water was pretty cold when I first got in, but I’m used to that initially freezing feeling; 24 hour fitness runs their pool so cold that if you rest between sets for more than a minute you end up with goosebumps. I tip-toed in really slowly, but was pretty surprised at how tolerable the water felt when I finally dove in and went for it. It probably helped that the sun was beating down on my suit and face. The swimming part? Also went well. I just buoy hopped for this first foray back into the open water. Rather than focusing on getting across the lake I wanted to focus on keeping my form intact and not getting anxious or stressed out by the temperature or darkness. The only part of my form that was challenging to recall was to “bury my head” and keep it down. Dare I say I’m looking forward to the next trip to open water?